coffee - Best design ever made. Chambord Coffe Press by Unknown french designer. Produced by Bodum. 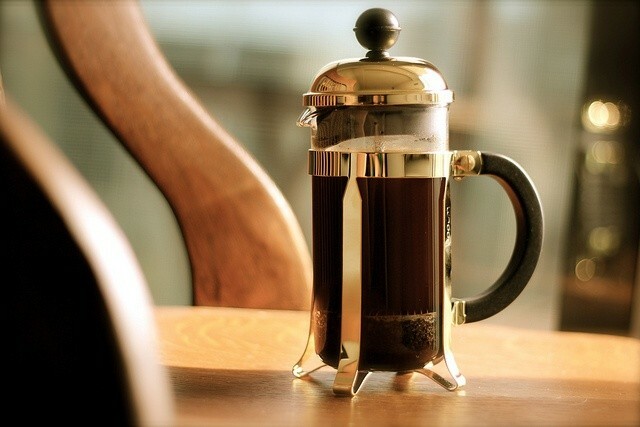 This design icon Chambord by Bodum is the original French press, and an award winner of the American Culinary Institute's Gold Medal for two years straight. This version is ideal for serving two to three, and has all the favorite features including a polished stainless lid and holder, wide black handle and knob that stay cool, and a durable glass carafe. To use, simply spoon in the ground coffee of your choice, fill with boiling water to the desired level and plunge the press firmly against the grounds. Wait a few minutes then enjoy fresh coffee!